Private (VIP) Kingston airport transfer operating 7 days a week from/to Airport, Hotels, Villas, Cruise ship port, and private residence. From 1 to 4 persons: $305 USD per vehicle, per way. From 5 to 8 persons: $380 USD per vehicle, per way. From 1 to 4 persons: $170 USD per vehicle, per way. From 1 to 4 persons: $50 USD per vehicle, per way. From 1 to 4 persons: $200 USD per vehicle, per way. 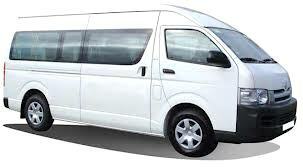 From 5 to 8 persons: $240 USD per vehicle, per way. From 1 to 4 persons: $260 USD per vehicle, per way. From 5 to 8 persons: $330 USD per vehicle, per way. From 1 to 4 persons: $190 USD per vehicle, per way. We had the same driver Phillip for the transfer from Kingston to Melia Braco Village & back again at the end of our holiday. He was fabulous, cheerful, funny, informative and very charming with true personality!! When we come back to Jamaica I would have no hesitation in booking with you again and I'd ask for Phillip too! Our transfer was a PLEASURE! Our driver, Philip Linton, was timely and charming. We would not hesitate to use your services again and highly recommend you! We had a pleasant experience with the driver. Will use again. We were very happy with the transfer and our driver was wonderful. Thank you very much for the excellent experience with your company. Both drivers that we had were very pleasant and very good drivers. Thank you so much for taking the worry out of that part of our trip! My wife and I would like to thank you that you came to pick us up at the airport. Your service is appreciated. Thanks for arranging the transfer, couldn’t have been better, met on time by Romaine who was very friendly (as is everyone in Jamaica) and he gave us a good commentary and welcome to Jamaica. My guide was okay on the trip he came on time for all pickups. Everything worked well and our driver was absolutely first class! My experience with Jaital was most favorable. Despite an airline delay for my incoming flight, Jaital was there to pick me up immediately and transport me quickly to my destination. Equally the staff was prompt in picking me up for my return trip. I made my arrangements online and unlike many of their peers received a prompt follow up confirming my request and their readiness to accommodate me. We had a wonderful experience with the driver that was assigned for us. He was very pleasant and treated us well. He was prompt and drove carefully. We felt very comfortable with him & safe. We would highly recommend your services to others. Thank you so much for the exceptional transfers by our driver he was so knowledgable and kind. Giving us all the information we could want on Jamaica on our long journey from Kingston down to rose hall. What a lovely man. He was helpful with our luggage taking it all and loading it into the van and making sure we were all comfortable from the outset. He was always on time and he made us feel safe with his careful driving. We wouldn’t hesitate to use your service again. Exceptional!! The transfer was great. Friendly driver and very reliable which is what one wants. A little fast and close at times but on the whole a very good service. Both your drivers were friendly, polite and drove carefully. Kennedy wasn't familiar with the location of the resort, which was a little surprising so the journey took a bit longer than we had anticipated. However, we arrived safely which is the main thing. Thank you for a flawless transfer between the airport and our resort. The driver and the rest of your staff were very professional, friendly, and on time. The vehicle was very clean and comfortable. We will use your company again the next time we are in Jamaica [TripAdvisor re-post]. We were very pleased with the level of service and punctuality of Kenton, our driver. The journey from Kingston Airport to Ochi Rios was long but only due to the road works and due to it being dark we couldn’t see any of the scenery. However, our return journey was much better. Kenton arrived 15 minutes early so we set off for the airport with plenty of time in hand, he drove us through Fern Gully which was beautiful and we have some nice photos of the surrounding hills! Kenton was also very informative, we have learnt all about the new roads being built by the Chinese! Very good experience as your driver was very welcoming , charismatic and polite. Kept us entertained the whole journey by sharing some of his experiences in Jamaica and was the equivalent to a sightseeing tour as he spoke about all the landmarks we past on the way. Booking through Jaital was a breeze everything I needed was right at my fingertips. My driver Phillip was prompt, friendly and helpful. I would not hesitate to use the services of Jaital again. My experience was excellent, beyond the call of duty. I will continue to utilize Jaital. He was extremely courteous and helpful. They would definitely use your company again. Transfer went very well. The driver, Philip , was there, friendly, courteous and got us to the hotel safely. I would have no hesitation in recommending your services. I had a very positive experience with our driver on two transfers in Jamaica. All went very seamlessly and he was a safe and pleasant driver. The service was great and our driver was very polite and kind. Thank you, Jaital. Our experience was excellent. No complaints. Mr. Linton was our driver. He was very professional and on time. He made the long drive to our resort pleasant and even acted as a tour guide as we navigated through Kingston and finally into Ocho Rios. I would recommend Jaital to any one visiting Jamaica. We had the greatest trip and part of that was the greatest driver ever!! !Thanks again! Thank you, my trip to Montego Bay and back to Kingston was a delightful experience our driver Philip was on time, courteous and informative. He highlighted important places along the route which made our journey a memorable experience. We shall be glad to use and recommend your service to anyone embarking on the same journey. The transportation provided to and from the airport was excellent. The driver dos a great job of getting us to our destinations safely and was a very pleasant person to meet. His knowledge of the area that he shared with is made the drive that much better. I have already recommended your company to a friend of mine that is a travel agent and if we are ever back in Jamaica we will definitely use your company again. The driver was very good and careful. Thank you guys so much. Although I dont remember my drivers name he took great care of me. You guys showed up when no one else wanted to come get me and I truly thank you for that. All went very well.....our driver was safe, knowledgeable and a good laugh. Website is good and all in a good experience at a fair price. We used your private bus to and from our hotel in Ocho Rios. We were extremely satisfied with our drivers . They were both very kind, friendly, and willing to answer any questions that we may have had. Thank you for making my transportation to and from the airport save and comfortable. Ease of booking and reliability was very assuring. I will definitely recommend and use your services again. Our driver was very helpful...best driver in jamaica! will surely get the service again if there is a chance! keep up! I was satisfied by the transfer from the airport to Kingston The driver was on the airport on time we arrived and we drive quickly to the hotel He was also guiding us on our first experience with Jamaica and Kingston Nice! We had a great driver. He was there when we arrived at the airport, and is a very skilled driver. He even took a route which allowed us to take in the country more! He was so nice and respectful and a really friendly and great guy. My experience with Jaital was excellent. Our driver Silvan was professional, timely, a safe driver and very kind. My daughter left her purse in Silvan\\\'s van and we contacted him moments after dropping us off at the Airport and he returned immediately for us to retrieve the purse. Silvan is hardworking, caring and he provided excellent hospitality. I am very happy we got him as a driver. Customer service at it\\\'s best. We would like to say that we were very very pleased with your service. Your driver Cameron was outside the airport patiently waiting for us because our flight was delayed by about 2 hours. He was very knowledge with the history of Jamaica and did not hesitate to point out points of interest along the way. We were very comfortable in the air-conditioned bus and the trip did not feel as long as it was. Cameron was also on time for our return journey and passed through Ocho Rios to show us some of the sights on the way to the airport as we did not leave the Resort our entire trip. Cameron was excellent, he made us feel comfortable and safe and he has a wonderful personality. I will definitely recommend Jaital tours to anyone I know who is visiting Jamaica in the future. (I also wrote a review on Trip Advisor). It was a very nice service. The driver was very friendly and very helpful. The driver is very friendly. He is on time and he drives carefully.